The number of people you share your Horse Riding Holiday with can have just as much as influence on the enjoyment you get from it as the actual location itself or any other attractions. At Zara’s Planet, the main focus is on Horse Riding Holidays with relatively small group sizes, to ensure you get maximum personal attention from your hosts and your guides, and a greater chance to get to know all your fellow travellers well. 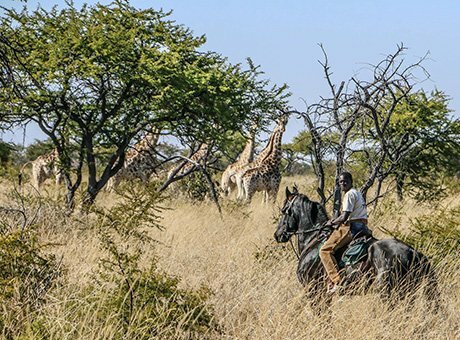 All operators at our various locations have their own guidelines as to the group sizes they cater for, and you’ll find details on the relevant listings page of all our Horse Riding Holidays. In general though, twelve is the largest number of people that any of them will have riding together, while many others operate smaller group sizes of eight, six, or four. Some may even operate a trek even if there’s only one person booked on it! Bear in mind that each group size will be supplemented by at least one guide, and often two or maybe even three. 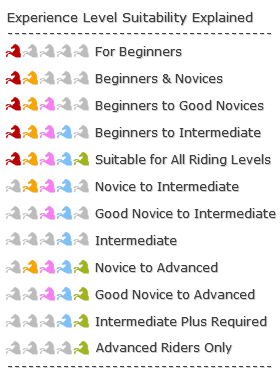 Also remember that a larger group, of say twelve riders, will often in practice sub-divide itself into two or three smaller groups as the ride progresses. 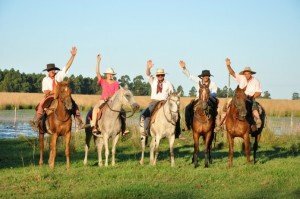 We cannot tell you for sure at the time of your booking just what exactly the group size will be on your Horse Riding Holiday, as others may book through other operators, and there will also always be additional bookings or maybe cancellations between the time of your own booking and the date of your departure. If group size is particularly important to you, let us know, and we’ll get as good an idea from your prospective hosts as possible on just how many guests they expect to be welcoming at the time of the stay you’re considering yourself. But remember – no matter what your group size, large or small – everybody there will share a love of horses and a taste for adventure, so you’re bound to get on well with them!